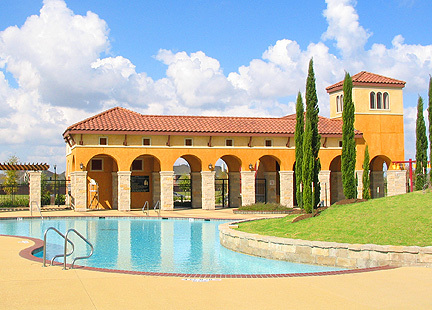 Come home to something new under the League City sun, Tuscan Lakes new home community. Carefully designed to be reminiscent of the panoramic Tuscan landscape, the charming new 780-acre master planned community will delight the senses as well as the soul. With blue water lakes, winding hike and bike trails lined with Italian cypress trees, wildflowers and Tuscan infrastructure accents, this groundbreaking new home community is destined to become the standard of excellence in the Bay Area. The Tuscan Lakes community provides an exquisite backdrop modeled after one of the most tranquil places in the world. A wide variety of prices and state-of-the-art home designs from Houston's best known builders are artfully placed within the quaint village of Tuscan Lakes. Every effort has been made to ensure the architectural integrity of the community is preserved and no detail has been spared to make sure every new home is filled with exciting features that make Tuscan style family living a true joy. Enjoy many opportunities to explore along lush walking trails, park spaces, and lakes right outside your door. A resort style recreation center and island spray park pool await your summer pleasure. Just minutes away in the Clear Creek and Dickinson ISDs, are some of the highest rated schools in Texas. Neighboring the Texas coast, residents will enjoy a melody of dining shopping and coastal experiences at the nearby Kemah Boardwalk and historic Galveston. Several public and private golf courses, parks, and NASA's Johnson Space Center provide internationally known venues for fun and education at all ages. 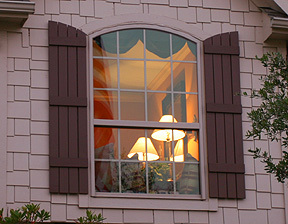 The relaxed lifestyle, variety of residential choices and unique architectural ambiance make Tuscan Lakes an idyllic setting for beginning or continuing a family legacy. 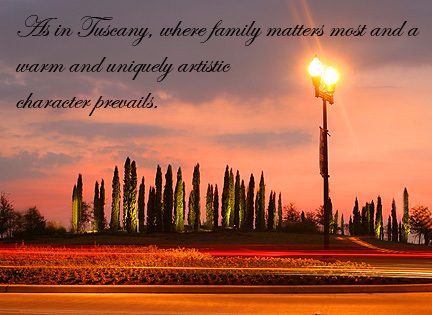 As in Tuscany, where family matters most and a warm and uniquely artistic character prevails, every effort has been made to design Tuscan Lakes homes in a way that enhances the art of living well. From Parks and museums to festivals and shopping, League City and its surrounding communities offer a wealth of activities, attractions and events. Directions, Tuscan Lakes is conveniently located in League City, Galveston County, Texas, half way between downtown Houston and Galveston Island, on League City Parkway, just 2 miles east of IH 45. Description, 870-acre Tuscan themed, master planned mix-use community, offering approximately 1,800 single family homes, multi-family homes, commercial, and retail sites. Community, Residents have easy access to nearby medical centers, police and fire protection, outstanding schools, churches, shopping, restaurants and entertainment. Click here for the official Tuscan Lakes website. All content copyright George L. Hosek. The photographs and videos on this site are for viewing on your computer only, absolutely, no commercial or personal reproduction without written consent from George Hosek.